It’s just hours until the clock strikes midnight and the calendar flips to 2016: I’ve thought about the new year so much (with a slight anxious flutter: new year isn’t my favourite time) that it already feels like 2016! 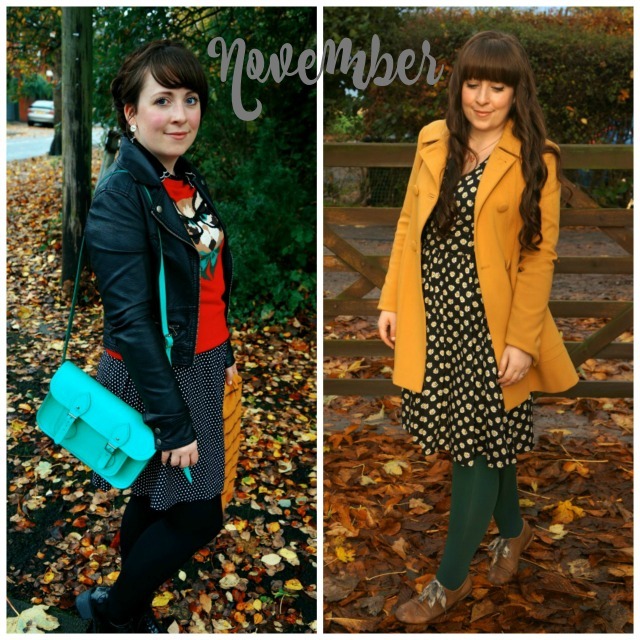 I couldn’t let the new year slip in without the obligatory retrospect post, a whirlwind round up of the outfits I wore. Polkadot Pink is a life and style blog, but this year, it’s personal style that’s led the way with my thrifty finds. I wished that I would have kept a tally of my charity shop spending but, let’s just say, I spent a lot more in charity shops than I’ve ever done and swapped my way to a new to me wardrobe. 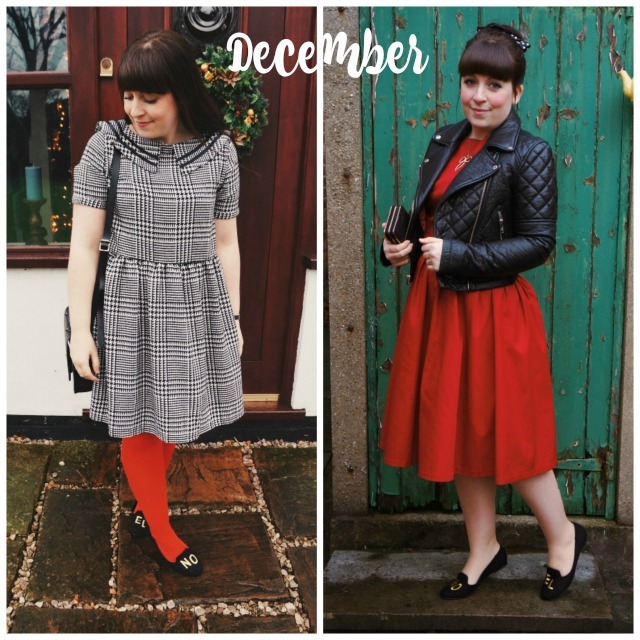 January 2015 started with the 100 day high street spending ban, a promise to buy only in charity shops and the start of the ‘What I Thrifted’ blog series. Who could have predicted that this challenge would mean I’d naturally gravitate toward shopping second hand? January was a slow month for charity shop finds, I seemed to find so little in so many shops. In February, I started to work out which charity shops were worth spending time in and frequented them regularly. I found this mustard knit cardigan in an independent, local charity shop then this gold top in Cancer Research. They were great additions to make new outfits with. Oh, March. The high street ban was getting difficult. With less than a month to go, I upped my search and found Jigsaw flares for 50p, leather tan heels for £2 and pretty collared blouses. 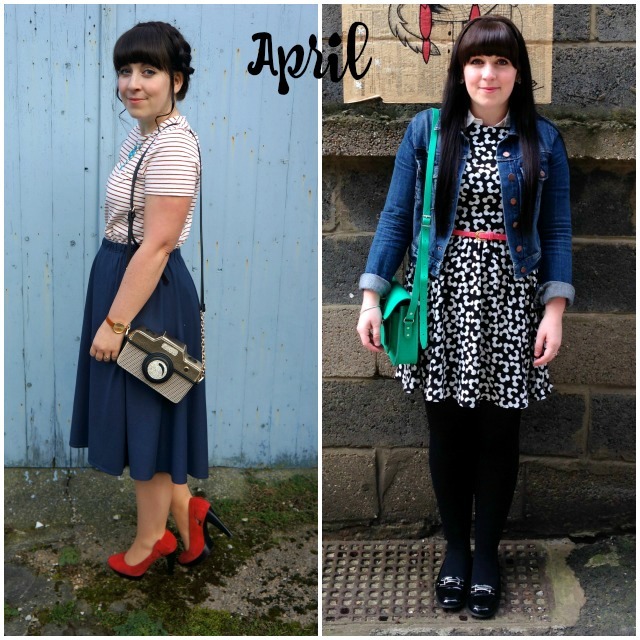 Whilst I pined for pinafore dresses and basic jersey tops, making new outfits from my thrifted finds kept me going until April. In April, I was lucky enough to work with one of my favourite brands: People Tree. 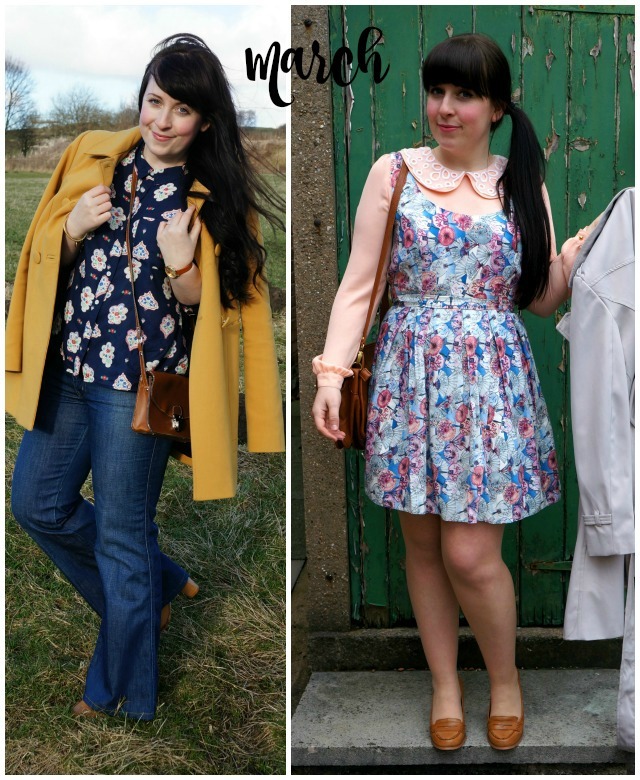 As part of their Eco Edit, I was asked to style two outfits from their new range. Unsurprisingly, I sneaked in a little thrift with these Jessica Simpson red heels that I’d found for £2 from my favourite local charity shop. Then there was that 60s floral dress from the British Red Cross, monochrome and flippy in style: need I say more? It’s fair to say, May was a pretty tough month for me! Whilst blogging took a back seat, I started to save more in the run up to leaving my full time teaching job. Saving money meant that I no longer bought things new. I did, however, put aside a small budget to spend in charity shops and found my love of personal style was ignited once again. I found lots of great things in May, take a look at what i bought, here. In the spirit of thrift, I started to sell some of my dresses over on Instagram after being inspired by Char’s selling page. 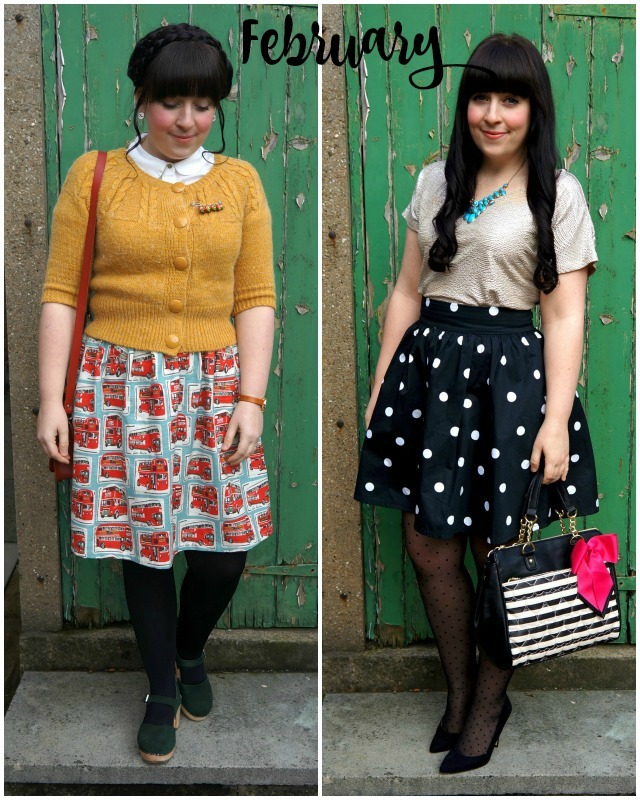 Now, Char has an amazing wardrobe full of kitsch, quirky clothes, so it made sense for us to swap. 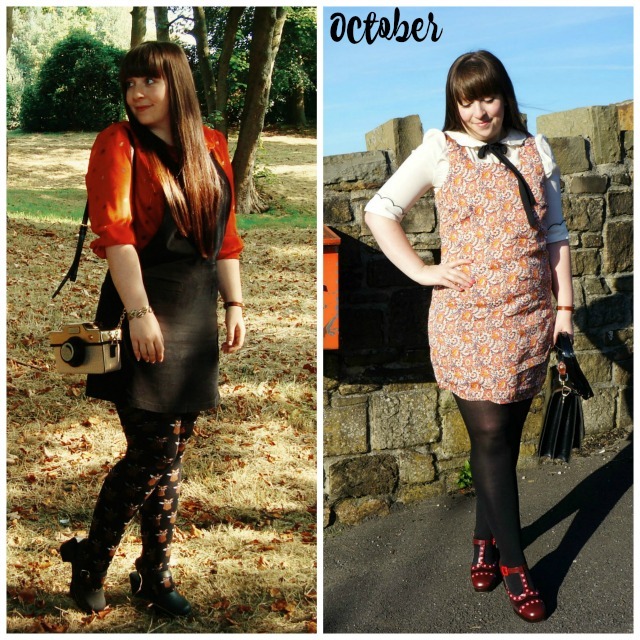 In June, we swapped and I gained this gorgeous pop-floral multi-coloured dress. July was a similar month to May, I continued to look in charity shops but I also visited a few car boots. Now, early mornings are not my thing, especially on a Sunday so it’s no surprise to discover that I only visited a few. 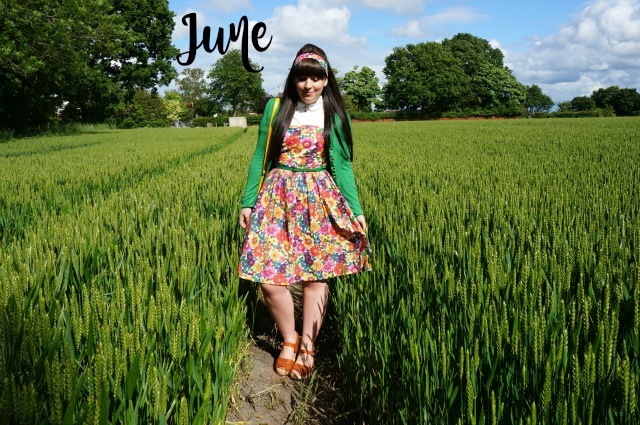 See what I found in the month of July, here. 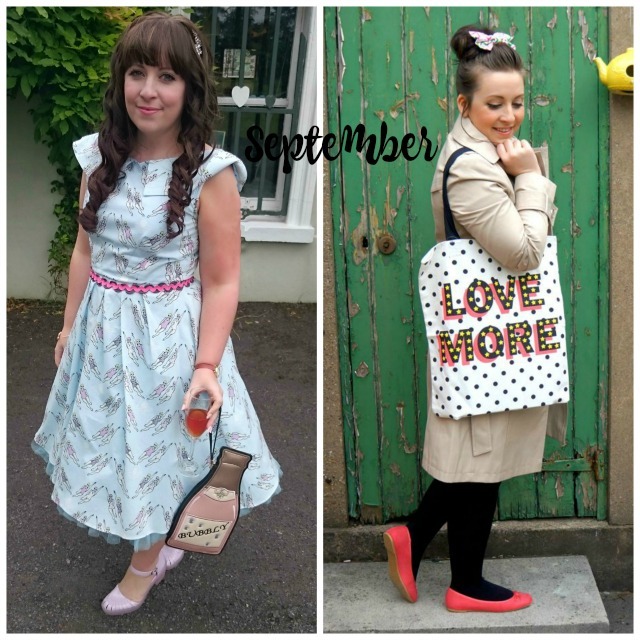 August was the month of Lindy Bop, working there meant that I was surrounded by those dresses and needless to say, more than a few dresses were bought! I think my current count in now at 24 (if we include the dresses that are on their way from the sale). And then, September rolled around and it was warm, oh so warm! 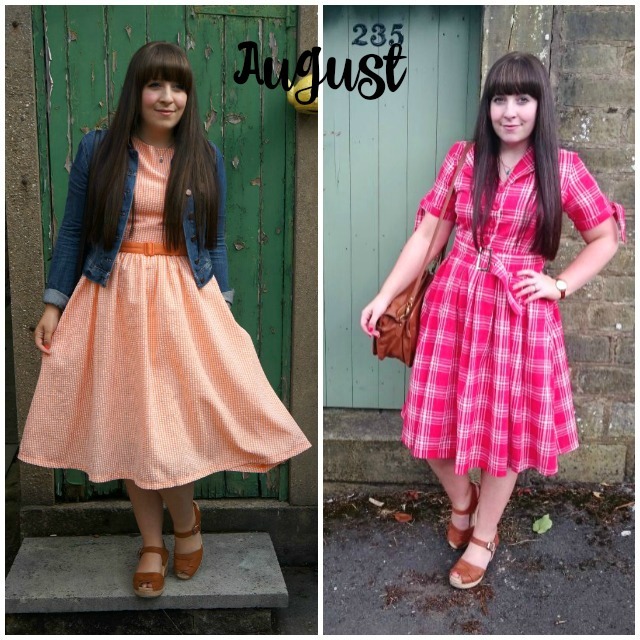 I finally featured my Abi Jackson dress that I bought in summer at Renegade and worked with George at Asda. October was crunch time for me. I spent a couple of weeks ill and unable to blog, but it did give me some thinking time. I’d grown unhappy about my limited posts and vowed to record more outfits and post more of my thrifty finds. Thankfully, John was fully on board and helped me to snap more of my outfits. Autumn was in full swing in my neighbourhood, so we took a walk around our local area and I finally got to wear the geeky cat jumper I found back in summer! The look was a little festive, but I’m not frightened of a red and green combination! I also scored a Friday on my Mind dress in TK Maxx for £9, I still love it. It’s the perfect go-to dress! 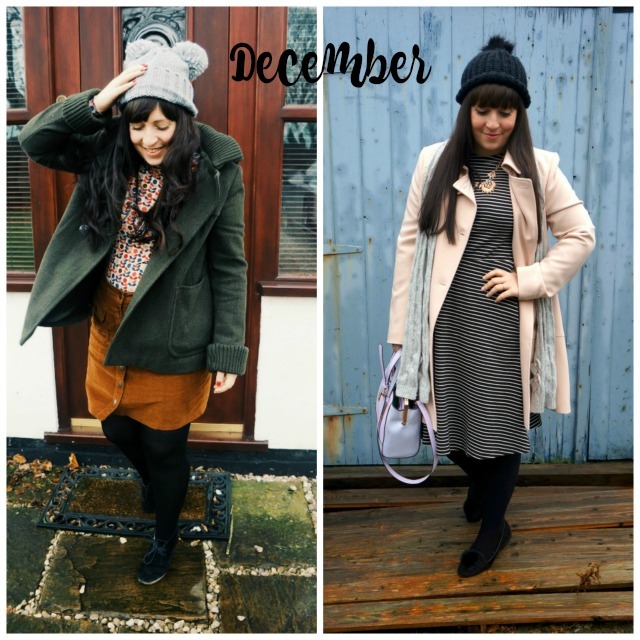 So, so many outfit posts to choose from in December! I still found lots in the charity shops, but I also started to discover quirky brands and buy new. Why? Well, charity shops are great for finding the unexpected but finding quirky clothes is difficult, so I decided to take a gamble on Pepa Loves with this outlet find: the monochrome sailor dress. So, what can you expect in 2016? 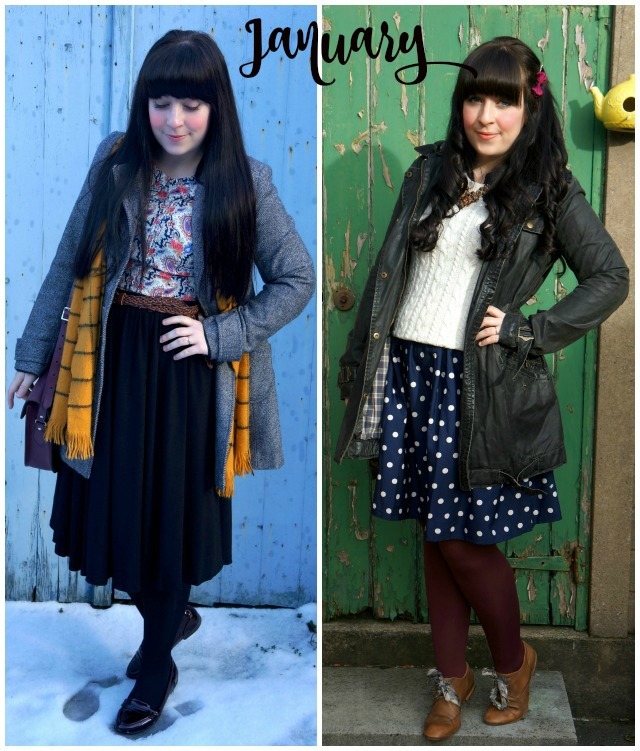 Lots of outfits posts with a sprinkle of life! I’ve already started the year as I mean to go on, starting with the sales!